Tickets to the Off-Broadway premiere of A BOY AND HIS SOUL — a new play written and performed by Colman Domingo (PASSING STRANGE, Logo Network’s “The Big Gay Sketch Show”) will be available for purchase – both at the Vineyard Theatre Box Office (108 East 15th Street) and online at www.VineyardTheatre.org – beginning Wednesday, August 26. Directed by Tony Kelly, founding director of San Francisco’s acclaimed Thick Description Theater Company, A BOY AND HIS SOUL is a moving and hilarious play that explores the life-experiences of a young African-American man in 1970s and 80s Philadelphia, propelled by the beat of classic soul, smooth R&B, and disco. “A BOY AND HIS SOUL is a whirlwind trip via the phenomenal soul collection of a young, black inner-city gay boy and his complex family,” explains Mr. Domingo. “I look back on family situations that are inspired by the music, and vice-versa, to move forward, honor the past, deal with loss, celebrate city life, search my soul — and find myself in the music,” says the playwright and performer. Mr. Domingo reprised his PASSING STRANGE roles for the film version, directed by Spike Lee; he is also a regular on the hit Logo Network series “The Big Gay Sketch Show,” produced by Rosie O’Donnell. He appeared in the acclaimed world-premiere productions of Athol Fugard’s COMING HOME at Long Wharf Theatre and Leigh Fondakowski’s THE PEOPLE’S TEMPLE at the Berkeley Repertory Theatre, and was also in the acting company of Lisa Kron’s WELL on Broadway. In addition to a 2008 Obie Award for his work in PASSING STRANGE, Mr. Domingo received a San Francisco Bay Guardian Best Solo Performance Award for A BOY AND HIS SOUL at the Thick House in San Francisco. As a director, he helmed the Off-Broadway premieres of Lisa Ramirez’s EXIT CUCKOO and Lisa B. Thompson’s SINGLE BLACK FEMALE. Tony Kelly directed the world premiere of A BOY AND HIS SOUL at the Thick House in San Francisco. Mr. Kelly is a co-founder of the Thick Description Theatre Company, which originated in New York before relocating to San Francisco in 1989. Notable productions Mr. Kelly has directed for Thick Description include the world and/or west coast premieres of Han Ong’s BACHELOR RAT, Karen Hartman’s ALICE: TALES OF A CURIOUS GIRL, David Greenspan’s JACK and 2 SAMUEL 11, ETC, Octavio Solis’ SANTOS & SANTOS and among many others, Suzan Lori-Parks’ THE AMERICAN PLAY. Creative team for A BOY AND HIS SOUL is as follows: Choreographer – Ken Roberson (AVENUE Q – both on Broadway and Off-Broadway at the Vineyard Theatre); Set Design – Rachel Hauck (Vineyard Theatre’s WHERE DO WE LIVE and FOURTH SISTER); Costume Design – OBIE Award-winner Toni-Leslie James (Vineyard Theatre’s WIG OUT! ); Lighting Design – Drama Desk Award Nominee Marcus Doshi (Theater for a New Audience’s HAMLET); and Sound Design – Tom Morse (Broadway’s PASSING STRANGE). 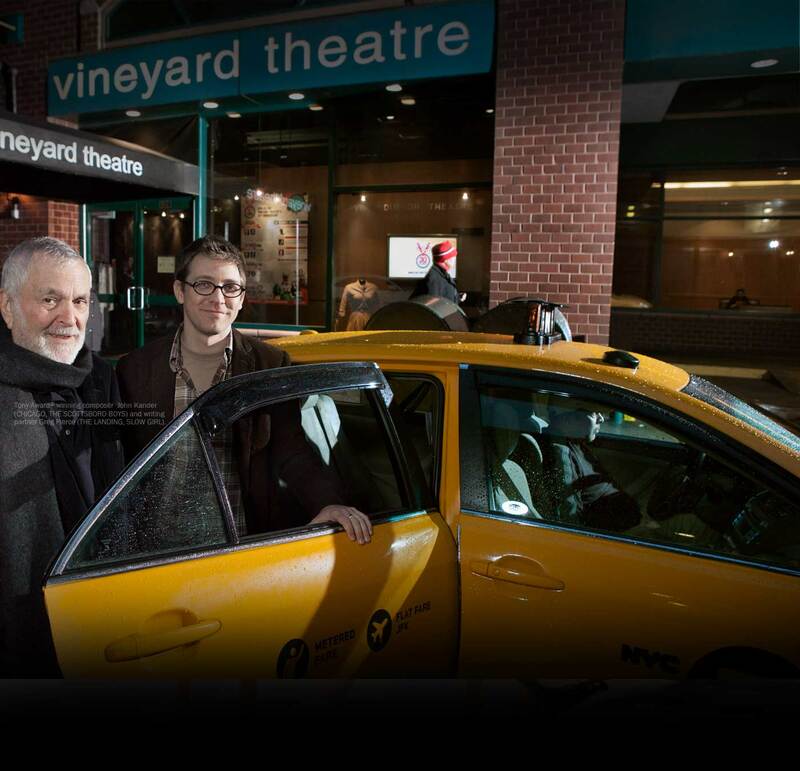 Vineyard Theatre is a non-profit Off-Broadway theatre company dedicated to new work, bold programming and arts education. One of America’s preeminent centers for the creation of new plays and musicals, such as the Pulitzer Prize-winning plays THREE TALL WOMEN by Edward Albee and HOW I LEARNED TO DRIVE by Paula Vogel and the Tony Award-winning musical AVENUE Q, The Vineyard has consistently premiered provocative, groundbreaking works and developed innovative educational collaborations. The company opened its 2008-09 season with Tarell Alvin McCraney’s WIG OUT! (GLAAD Media Award-winner), followed by The Civilians’ musical THIS BEAUTIFUL CITY. Scheduled September 9 through October 18, performances of A BOY AND HIS SOUL run Tuesdays at 7:00pm; Wednesdays through Fridays at 8:00pm; Saturdays at 3:00pm & 8:00pm; and Sundays at 3:00pm at the Vineyard Theatre (108 East 15th Street). Tickets are $55, and can be purchased either by calling 212-353-0303, or by visiting the Vineyard Theatre website – www.vineyardtheatre.org.